This past week brought clarity to many teams—some are sulking in their losses and gearing up for next year, while others are primed for a deep run into the playoffs in December. 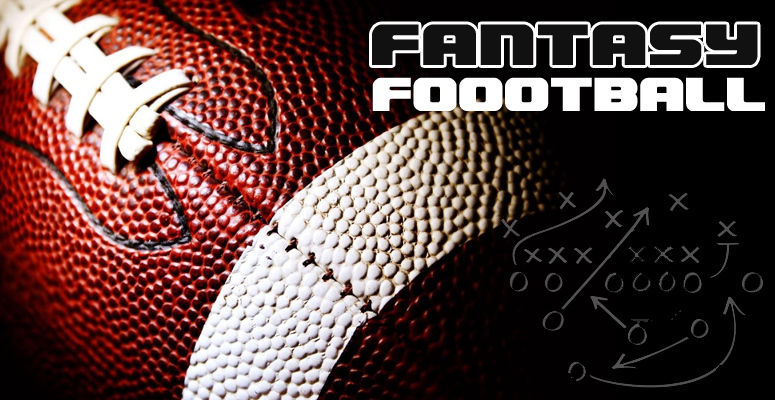 If you’re of the latter group, your roster management today could win you a Fantasy title when the dust settles. One of the most important considerations for playoff weeks (usually weeks 14-16 in most leagues) is strength of schedule. A pedestrian player can quickly catapult to elite status thanks to a few meetings with the Saints, Browns, or 49ers during the right weeks. Furthermore, if you combine a player on a hot streak with favorable matchups down the stretch, it might be just enough to clinch you that evasive trophy. Last year, over a third of championship rosters had Tim Hightower starting for them… yes, Tim Hightower. Why you ask? Well, he had a tasty matchup with the hapless Jaguars and consequently exploded for 28.9 points in Week 16, more commonly known as the Fantasy Super Bowl. Remember the late season hot streaks of David Johnson and Doug Baldwin? They were rostered on a quarter of championship rosters last year. Obviously, acquiring Antonio Brown, Ezekiel Elliott, or Tom Brady before the deadline would be a tremendous asset to your team—there’s no denying that. But, their owners are also unlikely to part with them. Realistically, the purpose of this article is to point out players whose asking prices are low enough that we could conceivably work out a deal for them. So, let’s take a look and find you those diamonds in the rough… you’ll thank me later. 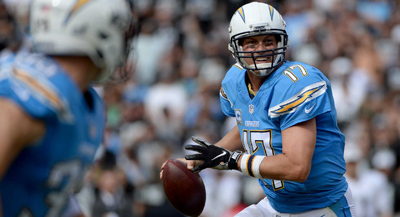 Rivers has favorable matchups in all of his final 4 games. His matchups against Carolina and Oakland in the two weeks leading up will put you in a tremendous position to make a run at the title. Both teams rank in the bottom third of the NFL, surrendering just under 19 FPPG to opposing QB. Furthermore, if your season ends in Week 16 like most standard leagues, you’re salivating over his trip to Cleveland, the team surrendering the 3rd most points to opposing QB this year. As a disclaimer, he has the Chiefs in Week 17, so you might want to have a Plan B if that’s your league’s championship week. But, let’s be real, your league should change its scheduling if that’s the case… many teams sit their starters in Week 17 to prepare for the playoffs… but that’s a conversation for another day. Get Rivers, and remember this article when he drops his 4th TD on the Browns and clinches you the crown you deserve. If you’re sold on Rivers, do your best to get Tyrell as well. There’s something about that Week 16 trip to the Dawg Pound that seals the deal for me. Someone has to benefit from Rivers’ 37 passing attempts per game, and my best bet is on Williams as his primary target for the rest of the way. 3. 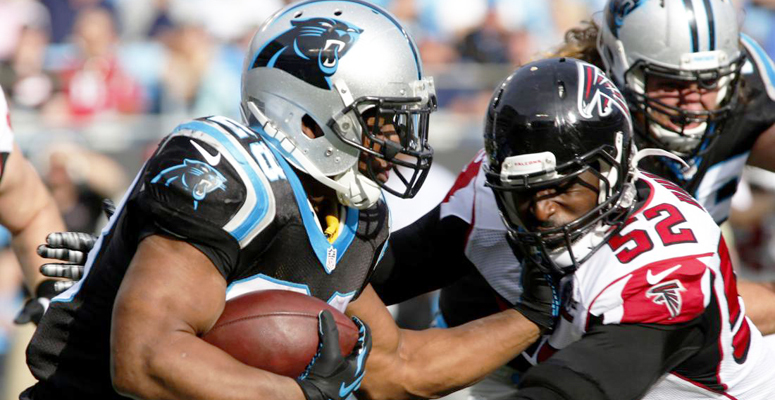 Jonathan Stewart (RB, Carolina)—Stewart labored through the beginning of the season, missing 3 games due to injury. Since then, he’s ridden a bit of a roller coaster. In his first two games back, Stewart stole the show, scoring 2 TD and over 20 FPPG in both contests. However, in Weeks 10 and 11, Stewart scored a combined 8.1 points on 28 carries—pretty dismal if you ask me. But, it’s important to note that these two games came against defenses in the top third of the league against the run, Kansas City and Los Angeles. The good news is that his price has likely dropped as a result of these two outings. It’s all about calculated risk here, but if you can work Stewart into your RB2 or Flex spot for the playoff run, you could reap the benefits in a huge way. His schedule softens considerably down the stretch and could provide the consistency and floor that we need for the playoffs. Thankfully, Stewart’s schedule saves his best matchup for last, a home game against the Falcons. Atlanta has ceded an average of 26.1 FPPG to opposing running backs and has allowed 19 or more FPPG to a single RB in half of their games this year. The stars seem to be aligning to Stewart to find his groove and help contribute to your team during the playoff rounds. Find a way to buy low on him. 4. Zach Miller (TE, Chicago)—Alshon Jeffery went and decided to take drugs… so the dismal Bears are without their most elite option. So, who’s left? Well, there’s Eddie Royal, an oft-injured matchup play who’s just as likely to post a 20 point outing as he is to score 0 points at all. Then, there’s Cameron Meredith, who showed flashes of greatness but hasn’t shown consistency in any regard, posting only one catch in each of his last three games. Cutler hasn’t looked his way much, and that scares me in the long run. Miller should continue to get looks as the season wears on, and his crown jewel could be a matchup with the Lions. Earlier in the year, Miller scored a touchdown in his matchup with Detroit and could be poised for a big outing yet again this time around. The next week, Miller takes on the Packers, who allowed 30+ FP to Delanie Walker and Anthony Fasano last week in Tennessee. With how bad the Bears have been, I expect Cutler’s pass attempt volume to remain high, and for Miller to be the primary beneficiary as the season winds down. If you’re struggling at TE, Miller might be the perfect target, especially if you have strong WR/RB depth and can afford to ship one away. 5. Patriots D/ST— One of the biggest game changers in any fantasy matchup is the D/ST position. Well, if you need a change of pace to make a late run this season, look no further than New England. If you’re sitting on the outside looking in and need a Defense with a high ceiling, the matchups don’t get much better than what New England has coming up. Better yet, they might even be sitting on your Waiver Wire. While a few average opponents are coming up, the Patriots have some juicy matchups to balance them out. If you need a few wins to improve your seeding or lock up your playoff berth, now is a good time to snag New England. Week 12 & 13 matchups with the Jets and Rams respectively should breed stable output. Not to mention, they’re both starting inexperienced, young Quarterbacks, something the New England coaching masterminds can simply feed off of. The trump card, however, comes in the form of getting to play the Jets twice, the second game is coming in Championship Week. My, how wonderful would that be? I’ll set the stage. Foxboro, MA, icy conditions, Bill Belichick and Matt Patricia… potentially a first-round bye on the line. I’d feel very comfortable with slotting the Pats into my lineup under those circumstances. That’s the kind of play that can win you a title. Make these moves, and you can thank me later.